In the beginning of June 1987, I arrived at Booby Island in the Torres Strait between Queensland and New Guinea for an overnight stay, travelling first by plane to Thursday Island and then by boat to Booby Island. 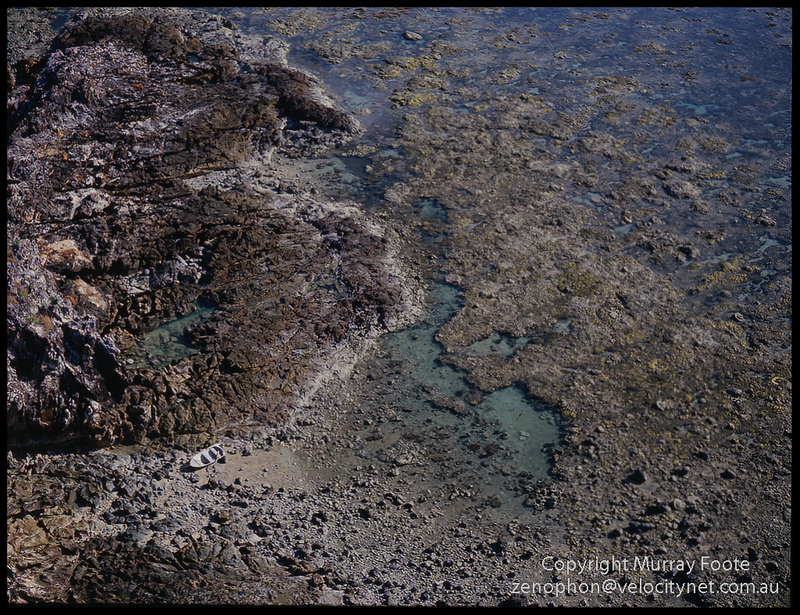 Based on the name of the island, it must have originally been a seabird colony. There was no trace of them when I was there so either they only appear seasonally or more probably, they scarpered when the lighthouse and buildings appeared. 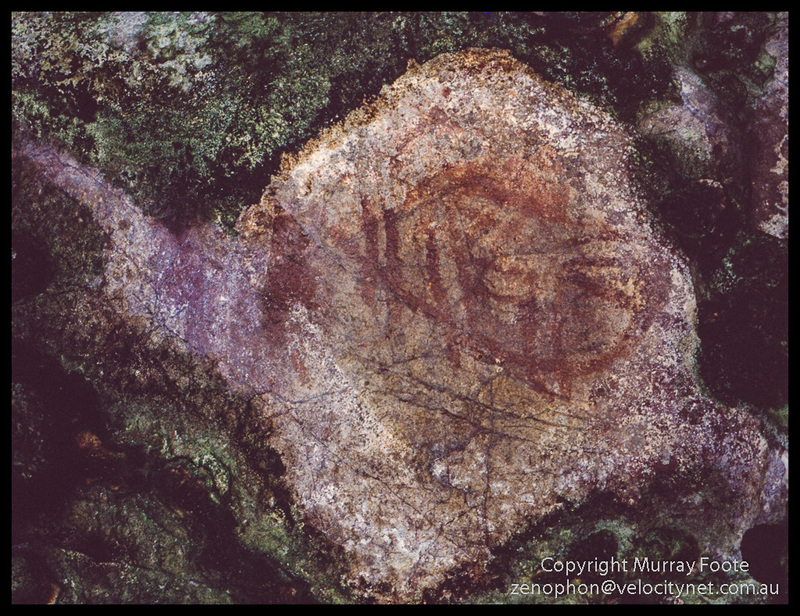 The image is an aboriginal painting on the wall of a cave. Aborigines and Torres Strait Islanders were likely frequent visitors for millennia though I assume a lack of sources of fresh water would have precluded settlement. This is also the famous Post Office cave. From the early nineteenth century there was a log book in the cave for passing ships to record comments on their situation and plans. It was also a place to leave letters so that other ships could take them back to England. Some decades later supplies were also left in the cave for shipwrecked sailors. Officially, the European discoverer of the island was the Dutch vessel Rijder in 1756 though it is also quite possible that Cristóvão de Mendonça passed by here on his way to mapping the east coast of Australia in the 1520s. Captain Cook landed here in 1770 and named it Booby Island and Captain Bligh also stopped by here in his longboat on the way to Batavia after he was ejected from the Bounty by Fletcher Christian. This is the lighthouse complete with three houses for lighthouse keepers’ families and assorted other buildings. Lighthouses from the classical era always had three keeper cottages so there were three people to work eight-hour shifts each day. This view is not from an airplane, it’s from a very tall tower at one end of the island. Here is another view though later in the day and maybe higher. This one is from a 35mm camera and a fisheye lens rather than from a 5×4 camera. Lighthouse and keeper cottages in the early evening, from the edge of the helipad. The shoreline with a small dinghy that the keepers presumably used for fishing though the tide is too far out for it to be of any use at that time. This entry was posted in Australia, From Dusk Till Dawn and tagged Architecture, Australia, Booby Island, Landscape, Lighthouses, Photography, Queensland, seascape, Torres Strait, Travel. I don’t know whether anyone lives there. 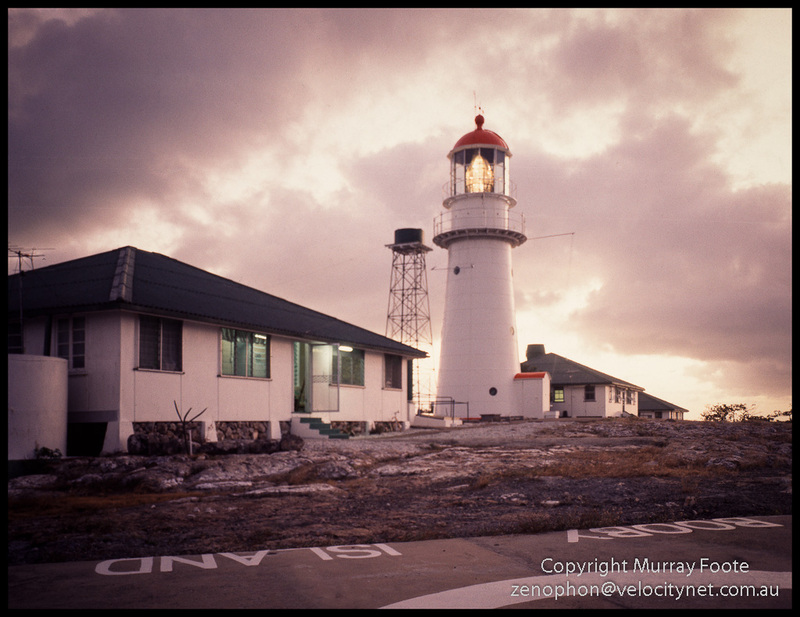 There were lighthouse keepers when I went there but they would have been gone by 1991 and the light automated. The light then only needs occasional maintenance visits. 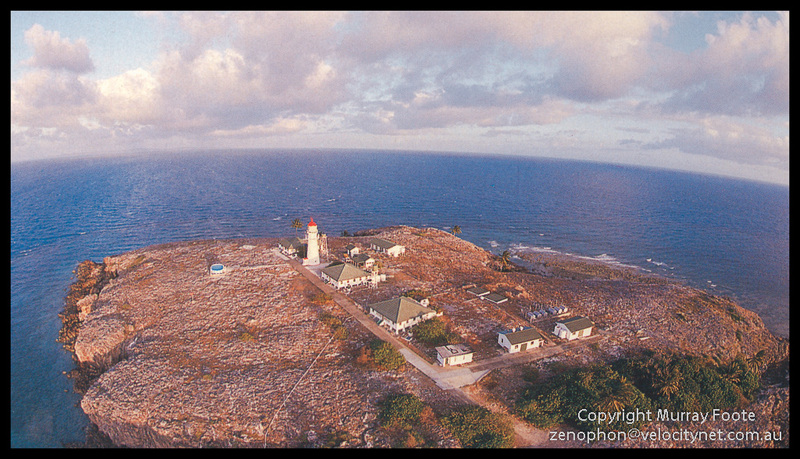 Some lighthouse quarters have been sold and some are available for rent. Maatsuyker you can potentially visit as a volunteer, for a six month term if I remember. Many have a National Parks caretaker. That would be a prerequisite for a volunteer program in Booby Is because it would have to generate its own electricity and rainwater would be the only source of water. You would have to ask the Queensland Government, I don’t know which Department. OK. It would be a great place to work for a while. I presume it’s administered by Queensland National Parks these days. I met quite a few lighthouse keepers in my travels. They were all very different people but the one thing they had in common was that they all kept the lighthouses in absolutely immaculate condition. Hello! 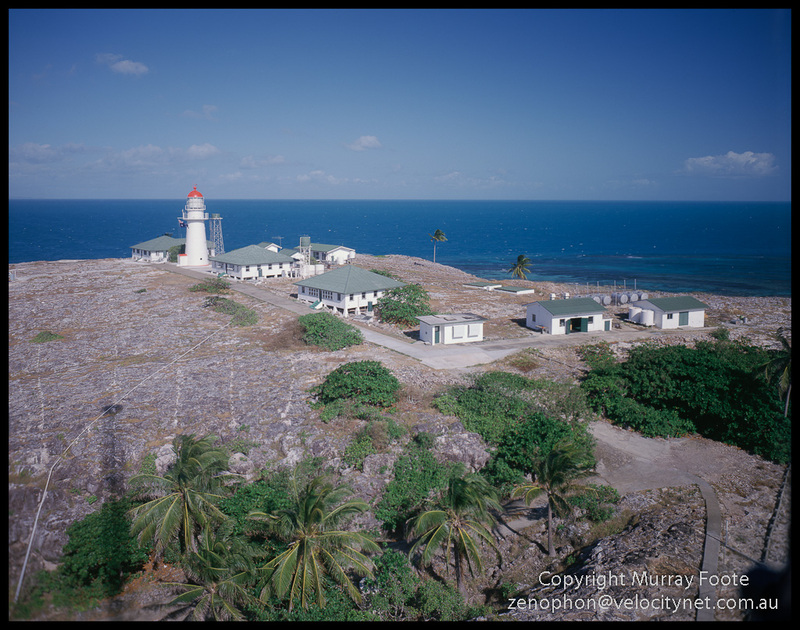 Are you able to provide any information or direct me to a resource about the lighthouse keepers that worked on Booby Island between 1950-1970? Thanks. I’m out of Australia now. I’ll see when I get back. I may have something written in my notebook from the time or I might not. DID YOU BY ANY CHANCE MEET A GUY NAMED ‘EASY’ WHO LIVED THERE EVEN AFTER SOLAR TOOK OVER.? does anyone know the type of trees that grow on Booby Island? No, not really. There is obviously some kind of palm trees there but other than that I don’t remember. HI Murray, Thanks for your prompt reply. Ï ever have contact by letter in early ’90 s with a lighthouse keeper Bob Carter. It’s a long time now. I’ve forgotten the names of the people I met on Booby Island and certainly have no contact with them.